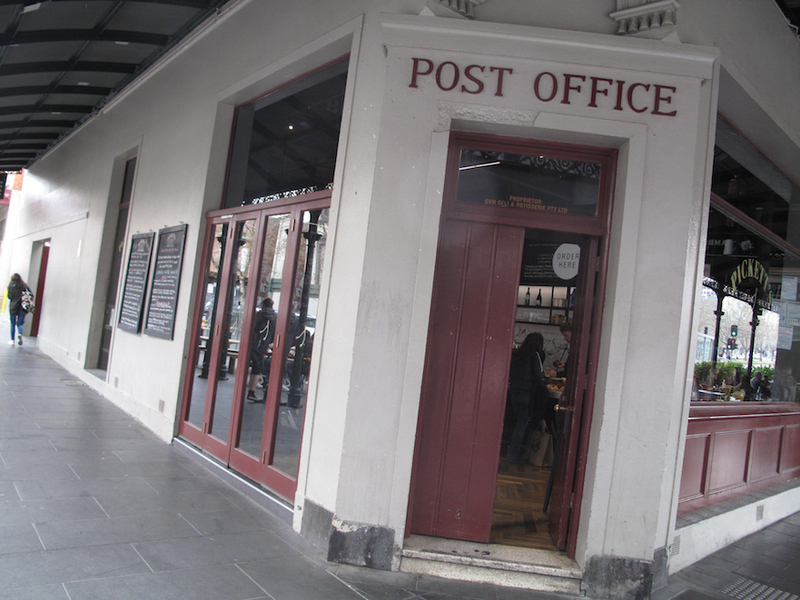 We’ve checked out a North Melbourne pub long on our radar with a view to Sunday roast lunches. But we’ve found the place barely open and looking and feeling rather morose. And there’s no Sunday roast – so scratch that idea! 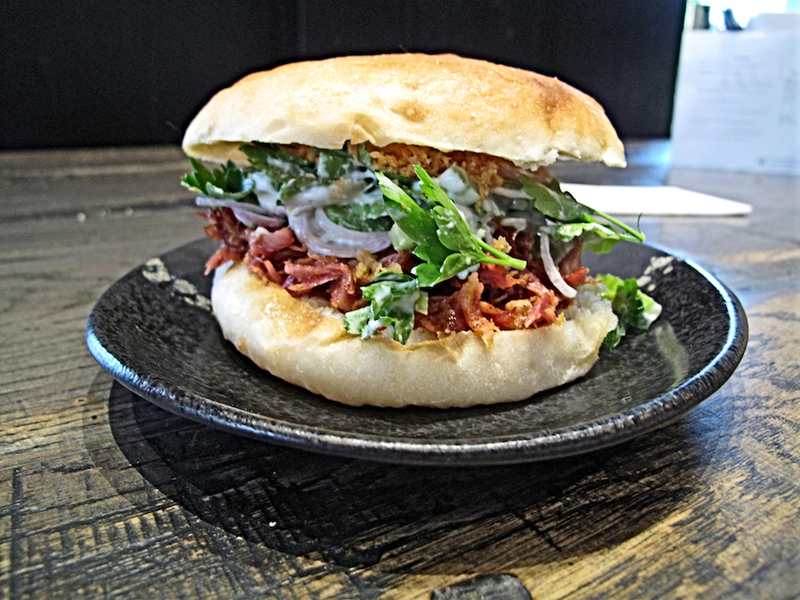 So we move on, ending up at Vic Market and deciding to give the corner deli/rotisserie a go. It’s replaced a bakery/cafe that had been in place for as long as I can remember. 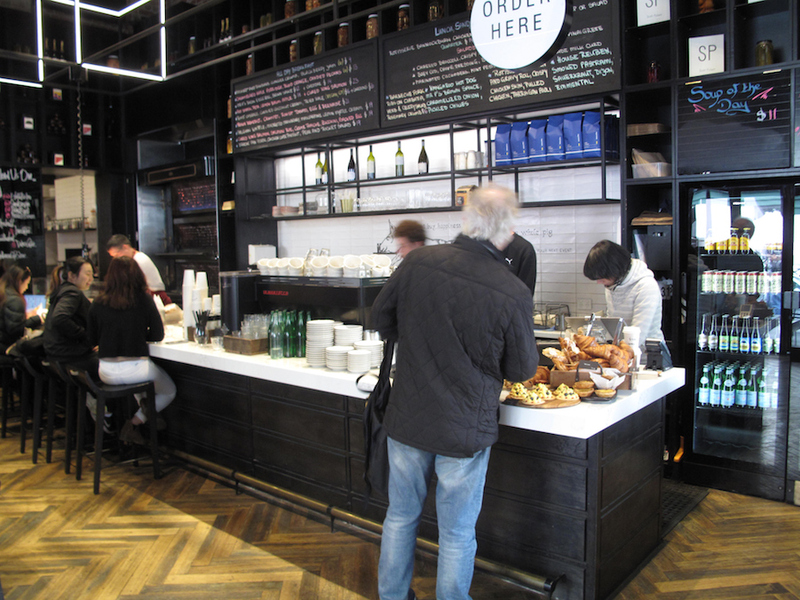 Pickett’s is done out in cool cafe style with lots of dark wood. It’s a lovely room with a cosmopolitan vibe. 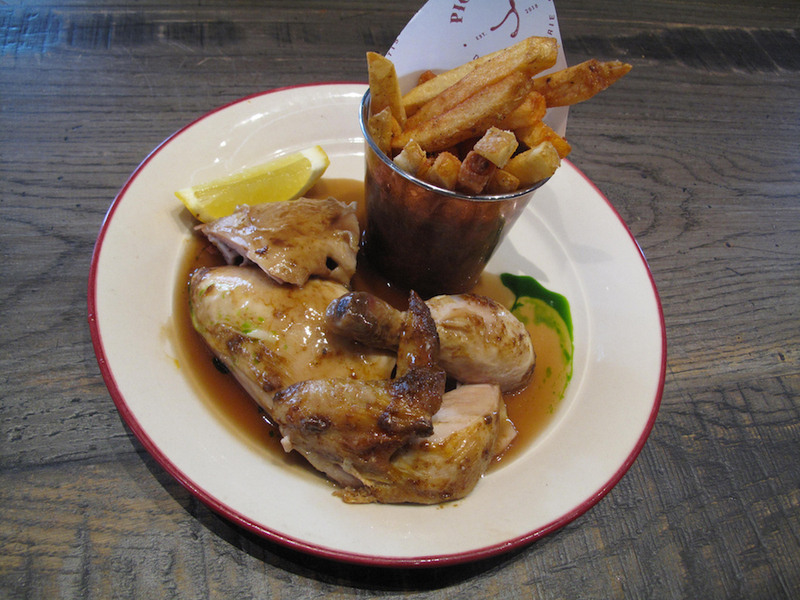 I go for the half Bannockburn chicken with chips and gravy (top photograph). The bird meat is ALL delicious. And ALL tender in a way rarely attained by most charcoal chicken shops. My chicken is barely lukewarm and closing in on cold. The good, thin gravy is even cooler. Likewise with chips that are limp, tired and way over-salted – and that comes from someone who generally likes some chips with his salt. Based solely on the bird quality, the price tag of $21 – well above that asked by your local chicken shop – seems reasonable. But given the overall lack of heat, it becomes less so. And surely for that sort of price, cracking hot chips are to expected. Bennie’s sandwich of barbecue lamb ribs on ciabatta with herb and celery salad, rosemary crumb ($16) works well – it’s a refreshing combination of flavours. Though he doesn’t get the expected smoky tang of American-style barbecue he is expecting. It’s almost seems like the meat has been cooked in the Chinese barbecue fashion. We share a small serve of one of the salads. 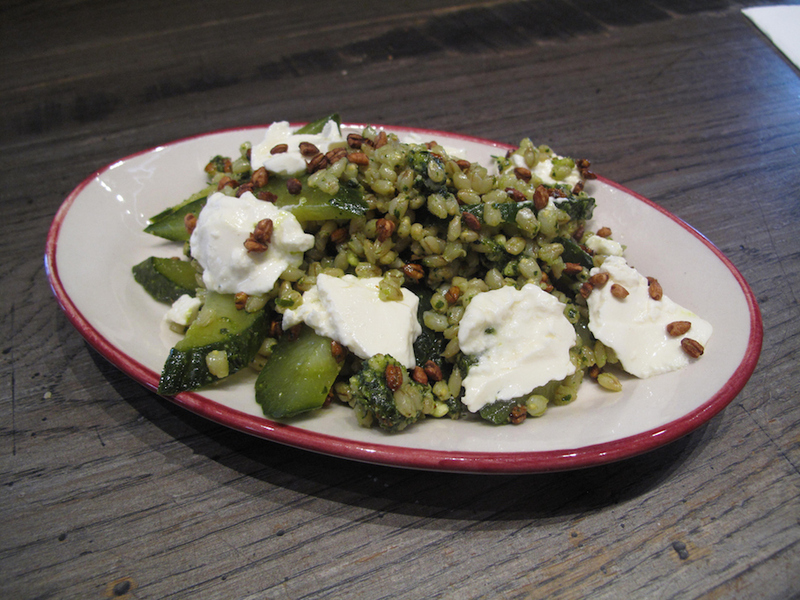 Marinated cucumbers, mint pesto, puffed barley and house made milk curd is fine and zesty and the serve is generous for $7. Given its superb location, Pickett’s will doubtless continue to do well. But we’re hardly going to change our Vic Market routine from borek and bratwurst.